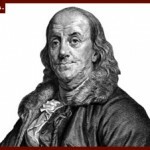 Ben Franklin is quoted as having said, “A man convinced against his will is of the same opinion still.” This quote is often tossed around by telemarketers, teaching one another the not-so-gentle are of pushing a customer just far enough toward closing the deal . . . but not so far that the customer hangs up in a panic. The thing of it is, I sometimes wonder whether fundraisers would be better off studying telemarketing tactics. By doing so, they could also understand when to back off, and why prospective donors — who are also consumers — are prone to feeling railroaded. So, there are some people out there — goodhearted, charitable people — who will not support your cause no matter how hard you try. Or maybe they’ll give a few bucks, but ignore all follow-up appeals, and resolve never to pick up the phone or open their door again.